High-end fashion label Louis Vuitton is well known for its leather bags. The Parisian fashion house has bags for almost all kinds of occasion and apparently, now it even has your ladies’ lipstick covered too. 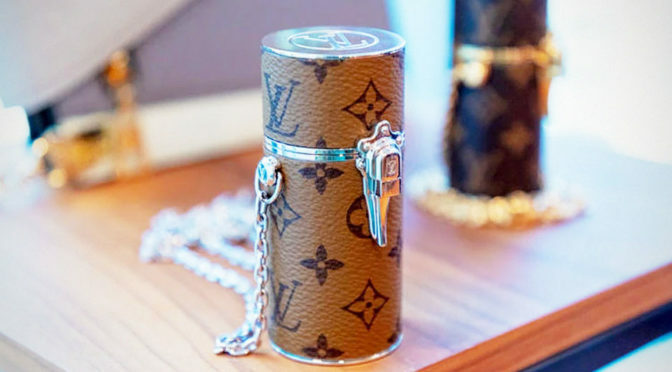 While it is refer to as Louis Vuitton Lipstick Case, I would think that it is a miniature bag for lipstick because, it does have a chain for wearing it around the neck or shoulder and it also boast a locking clasp inspired by the brands’ suitcases and trunks. 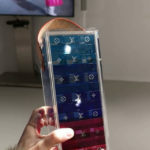 Similar locking mechanism is also found on the brand’s makeup and jewelry cases. 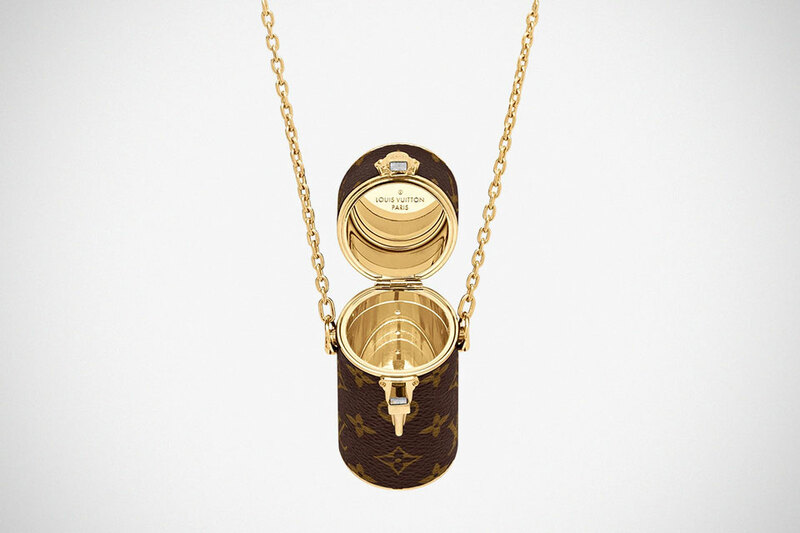 Speaking of which, this particular product was apparently inspired by the makeup and jewelry cases of the 1920s. I not going to lie. I may not be a lady, but boy, am sure is impressed by the design. It looks kind of cute. Like a miniature LV trunk, except that its cylindrical and very, very tiny. And there is, of course, the label’s iconic brown monogram leather exterior which, TBH, is the only element that makes it a LV. 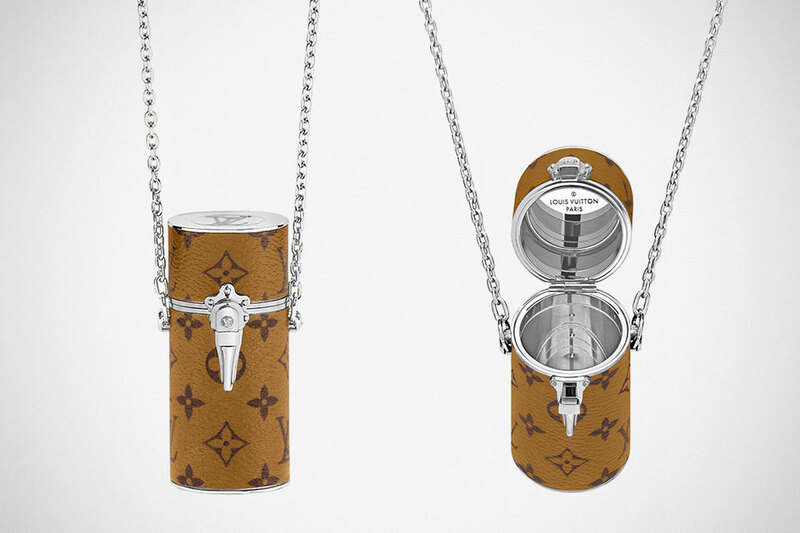 The iconic monogram is juxtapose by silver or gold chrome hardware, and apparently it has mirror inside for on-the-go touch up. 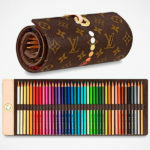 This being a LV, you know it is going to be pricey, but I bet you are not prepared for the $1,390 asking price. 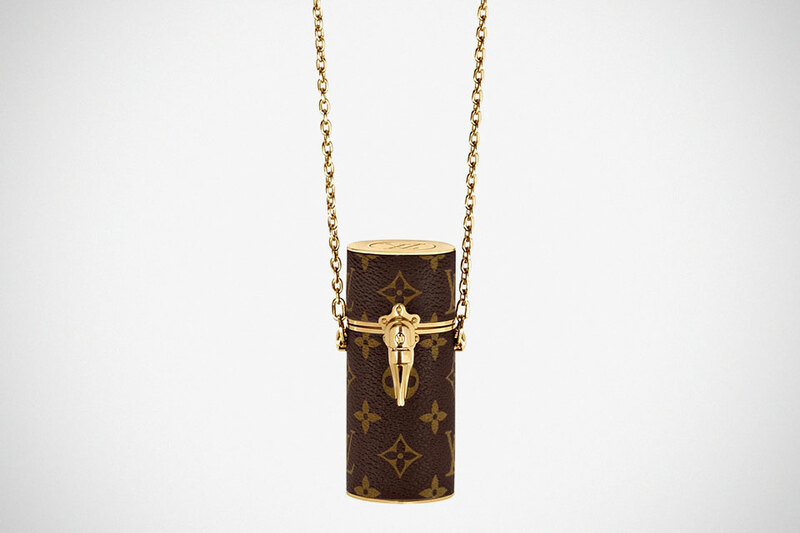 Holy sh… over a grand for a case for a single lipstick! Well, that’s the epitome of frivolous! 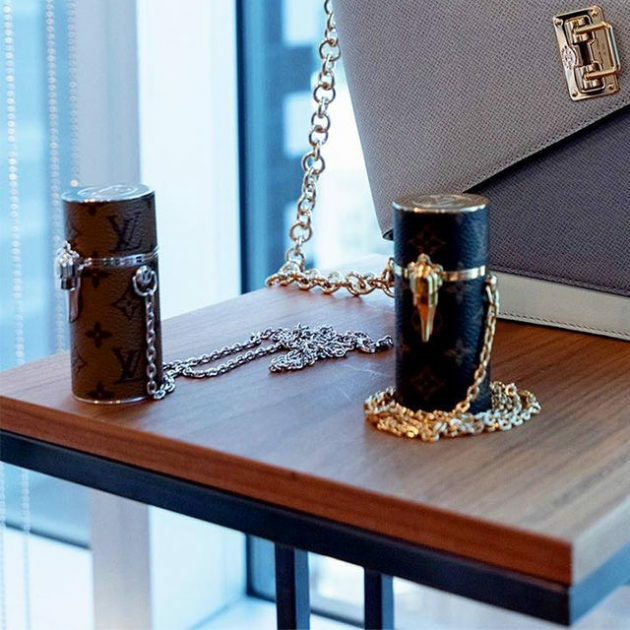 Despite the price it commands, the Louis Vuitton Monogram Lipstick Case is reportedly a sell out in Australia when it went on sale for AUD 1,740 (US$1,230). 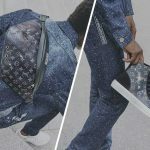 Images: lvj12 via Purse Forum/Louis Vuitton.